When baby boomers grew up in the 1960s and 1970s, independence was vitally important to most of them as they struggled to break free from convention – both in their families and society in general. Not much has changed because the same restless boomers still want to call the shots and stay in their own homes as long as possible. Not just any homes, but ones with universal designs and amenities that allow them to successfully age-in-place. The challenge for builders, remodelers, architects and designers – both single-family and multifamily – is to be a step ahead by building homes and units with designs and appliances that will accommodate active, aging residents today and decades from now while also being welcoming to their families. According to the U.S. Census Bureau, the number of U.S. residents 65 and older grew from 35 million in 2000 to 49 million in 2016, and every day more of them are from the baby boomer generation, which includes people born between 1946 and 1964. Many of them will be able to take full advantage of those retirement years because those who are in their mid-50s or older have the highest net worth of all generations, owning 63 percent of all American financial assets, according to AARP. They also want to remain in their homes as long as possible, whether owning or renting the property. They fear loss of independence and moving into a nursing home much more than death, according to a study by Clarity and The EAR Foundation. 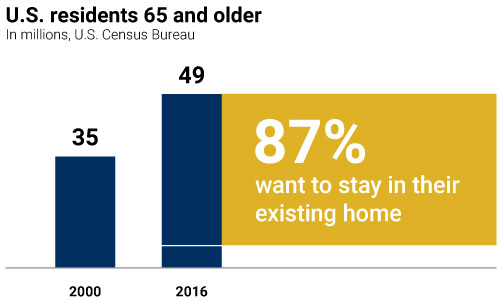 In fact, a 2014 AARP Public Policy Institute report found that 87 percent of those age 65 and older want to stay in their existing home while 71 percent of 50- to 64 year-olds said the same. Remodeling: Remodeling by the 55-plus demographic accounts for a large share of total home improvement spending. For example, older homeowners are expected to increase their share of remodeling spending from about 52 percent in 2015 to 56 percent in 2025, with one-third of that coming from the 65 and older age group, according to a Joint Center for Housing Studies of Harvard University study. Multifamily: People in their 50s and 60s caused almost all of the net increase in multifamily from 2000-2013, according to a report from Jordan Rappaport, a senior economist at the Federal Reserve Bank of Kansas City. Also, the number of renters in their early 60s increased by 84 percent between 2006 and 2016, according to a Joint Center for Housing Studies of Harvard University analysis of Census Bureau data. This increase has caused an increase in rents as well. “It’s a combination of (baby boomers’) sheer size and that they’re entering the age range where they increasingly downsize,” Rappaport said. For those who prefer newer single-family homes, the downsizing trend still holds. Many 55-plus residents are looking for homes less than 1,900 square feet, according to a study conducted by the National Association of Home Builders. What does that mean? It means that they don’t want it to be obvious that they’re aging in place. They’d like their home to be beautiful enough for a 55-year-old but still be easy enough for a 75-year-old, or older, to maintain. Let’s focus on the kitchen in particular. Whether the 55-plus resident is upgrading to a larger home or downsizing to a condo, the kitchen is often cited in surveys as being one of the most important areas of the home and the center for entertaining. In the kitchen, it is important to make usability the focus, not access related to specific physical changes. Builders and remodelers must not sacrifice design to increase usability in appliances. Instead, they must adjust to homeowner needs. Easy-to-read control panels, such as on the Whirlpool® Smart Over the Range Microwave with Scan-to-Cook Technology. 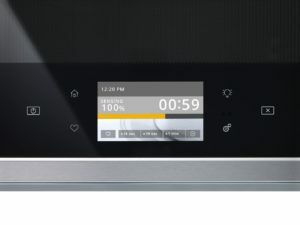 With the Proximity Sensor, you can easily read your display no matter where you are in the kitchen with a sensor that immediately wakes up the appliance when you’re close and adjusts the display text size and volume based on your distance. 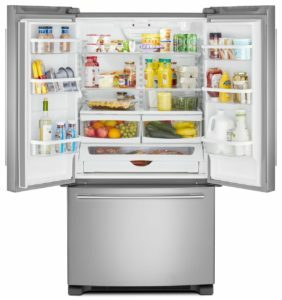 Optimal illumination inside appliances, including the LED lighting in the JennAir® 42-Inch Built-In French Door Refrigerator. Multiple LED lights are placed throughout the interior, minimizing shadows and increasing visibility, while beautifully showcasing items against the black finish. 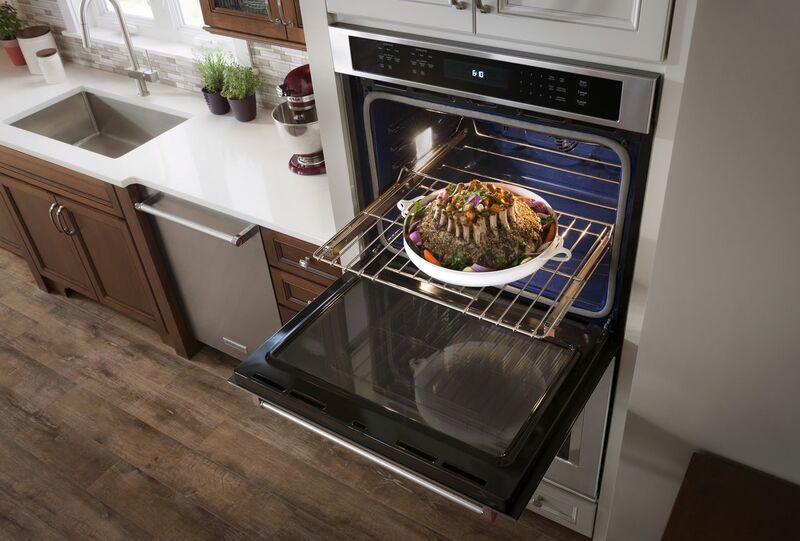 Ease of use, including the Whirlpool® 36 inch 5 Burner Gas Cooktop with EZ-2-Lift™ Hinged Cast-Iron Grates. The industry-first EZ-2-Lift™ hinged cast-iron grates lift effortlessly to make cleaning the cooktop simple. 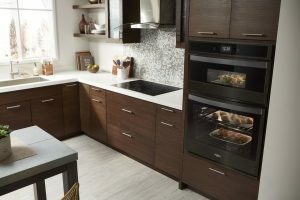 Purposeful connectivity to reduce the steps required to maintain an appliance, such as the latest Whirlpool® Smart Front Control Range. Whether you use the touchscreen that learns and adapts to your routines, give simple voice commands or control your range right from your phone, the WiFi-connected range let you cut down on routine steps to get dinner on the table quickly. How can a homebuilder make usability part of a home without making it seem like the owner is getting a “senior” solution? Universal design. Universal design is the design of products and environments to be useable by all people, to the greatest extent possible, without the need for adaptation or specialized design, as described by Ron Mace, founder of The Center for Universal Design. An example of universal design in the kitchen is to put a microwave at a “comfort height” under a 42-inch counter instead of over a range, which makes it easier to reach no matter what age or height the residents are. Also, if ovens are placed next to each other at the comfort height instead of stacked, it ensures the consumer can reach them with minimal effort. For a growing number of homeowners, accessibility is a real need, whether they want to admit it or not. In 2015, one-quarter of all homeowners between 55-64 years old reported a household member with a disability, which increased to one-third for those 65 to 74 years old and one-half to 75 and over, according to Joint Center for Housing Studies of Harvard University. The demand for homes with accessibility features will grow substantially in coming decades. As people move through their 60s, physical changes are a natural part of the process even for active adults. For example, it may become tougher to run up the stairs, to bend over or to climb up to reach something, Peterson said. Builders can address this need with what Peterson calls “stealth marketing.” An example of this for builders and designers is to include a sit-down area in the shower as a basic design feature that benefits everyone, not something to address a future problem as the resident slows down physically. Also, a wall can be reinforced when it’s built, allowing for a grab bar to be installed years later when it’s needed. “Let them know it’s an amenity that you include in every bathroom space design,” Peterson said. 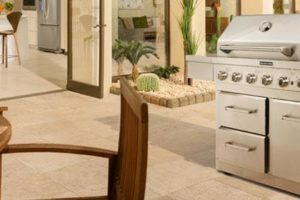 In a kitchen, recommending a French door refrigerator or refrigerator drawers, or induction cooktop or side-by-side oven setup can be brought up primarily as smart ways to design the kitchen, not as ways to address current or future physical limitations. As more builders move toward a universal design approach for their homes, it’s important to everyone on the team to be on board and emphasize the benefits to prospective homeowners.